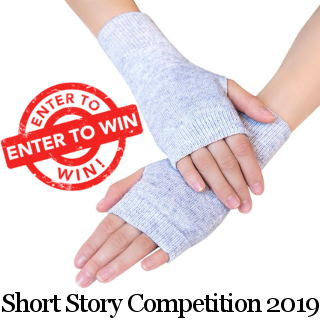 Home » Blog » Competition » Short Story » Win a pair of Cashmere Writing Gloves! 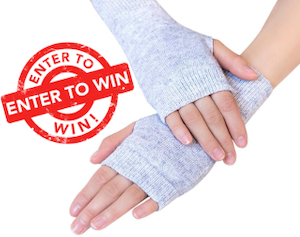 Win a pair of Cashmere Writing Gloves! It's finally time for the MJMeads.com Short Story Competition 2019! This year's competition is once again open to entrants worldwide providing the submission is in English. Best of all entry is FREE! The winning entry this year will receive a brand new pair of Cashmere Writing courtesy of LiteraryBookGifts.com! These are a great luxury prize worth over $50 and ideal for the year round scribe! The winner will also see their story featured prominently on this site and shared across our social media channels as well as being rewarded with a one hour session with the 'plot doctor', our manuscript troubleshooting service. There's also runners up prizes of a free eBook for any shortlisted entries. This year's theme is 'Messages'. You can interpret the theme however you wish, the story could start or end with a text message, an email, a message scrawled on a wall or written in the condensation on a bathroom mirror. The message or messages could be the turning point in the plot, the plot twist, a riddle or puzzle that needs solving, or just a nagging voice throughout the story providing light relief. For more ideas and tips on writing to a theme, as well as our guide to writing a good short story, please see this article we've written especially for this year. You don't have to read it to win... but it can't hurt right?! So if you enjoy writing short stories, please do get involved and tell your friends. Click here to find out more and details of how to enter. Click here for tips on writing a short story for a competition.